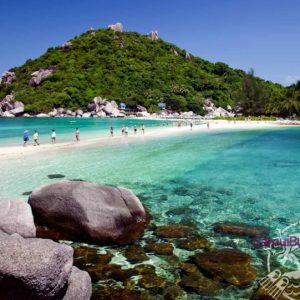 SamuiBus.com | Book transfer from Lipa Noi Pier in just a few minutes! Raja Ferry – Lipa Noi Pier a second car ferry terminal is located in Lipa Noi and, like the one in Nathon, boats to and from Don Sak on the mainland arrive and depart every hour from 5.00 am until 6.00pm. Important to consider that on Koh Samui near Raja Ferry pier in general there are no any taxis, because the pier is located a bit far away from the ring road and populated districts, and also taxi drivers ask higher rates. Raja Ferry is an official carrier partner of the AirAsia airline, the airline passengers get to Koh Samui by this ferry. Get from the Lipa Noi Pier to the hotel in Koh Samui and back will be so easy if you will think about it in advance. Just book Transfer service!